Using data and web design to help women track their contractions. 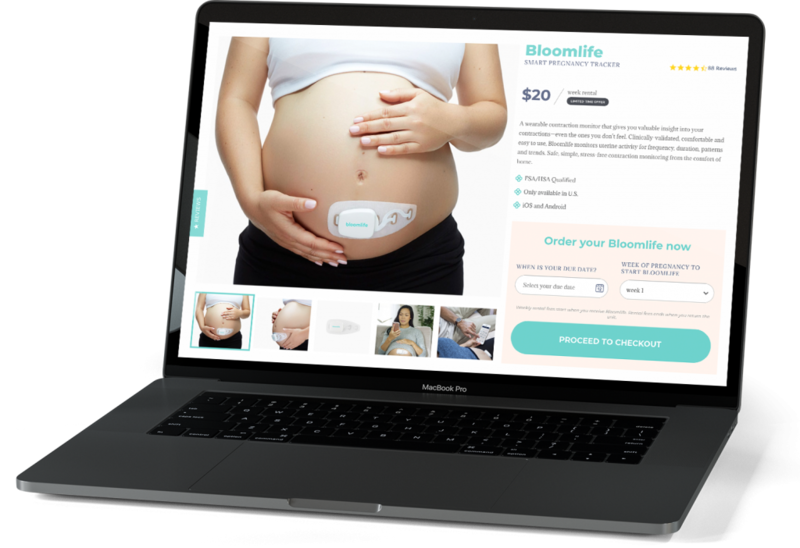 Bloomlife is a wearable device that allows pregnant woman to safely and accurately track their contractions at home. 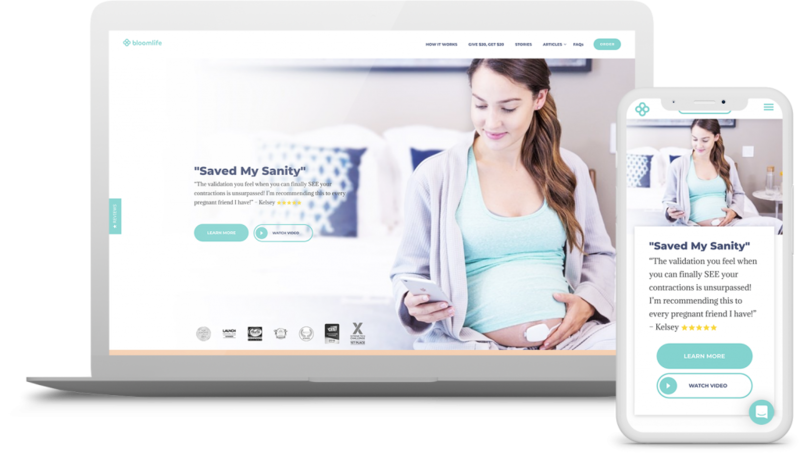 We were hired for a strategic new website that would put this life-changing tech on the map for expectant moms. Soothing nerves from the start. Pregnancy is stressful. Pregnancy that is high risk, or requires careful monitoring, is doubly so. That’s why we made sure that our website assuaged moms’ anxiety first, providing educational content, input from doctors, and testimonials from other moms. Improved user experience with growth-driven design. Using growth-driven design practices, we streamlined Bloomlife’s ordering process based on data received from real customer behaviors. By using live behavioral data based on the on-site actions of real customers, we were able to clarify, simplify, and perfect the purchasing process so every mom could order exactly what she needed, at the ideal point in her pregnancy. Ongoing updates based on analytics. After the launch of our new streamlined site for Bloomlife, we continue to work with Bloomlife, analyzing their user behavior data (collected via the new dashboards we created for their website analytics) and making ongoing appropriate changes. Because of the informed adjustments we’ve been able to make by employing growth-driven design techniques, we’ve produced significant results for Bloomlife’s website performance. 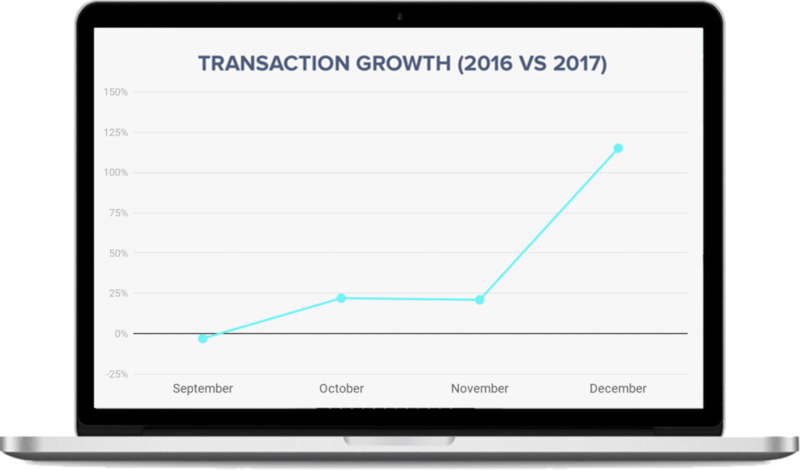 Initial tests have revealed a doubled conversion growth rate to date, and are projecting doubled revenue by the end of 2018! 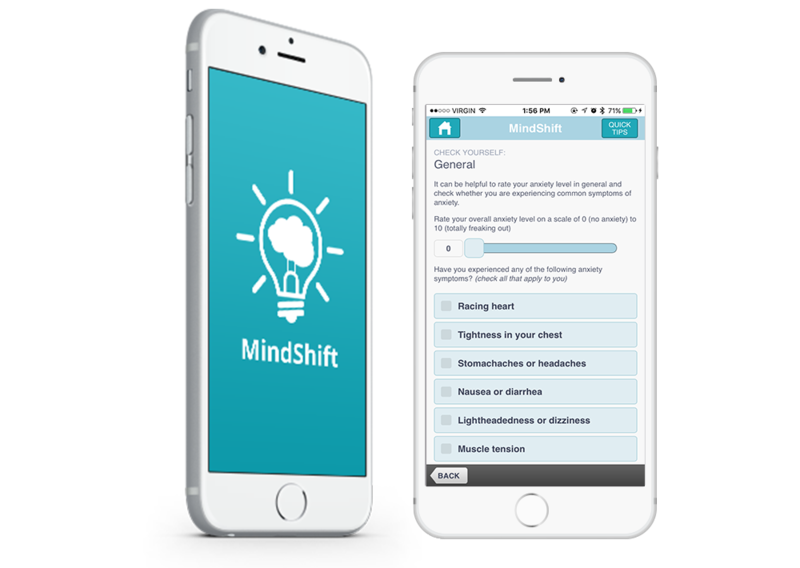 We created and tested an app to help young adults cope with unique anxiety challenges, anywhere, any time.